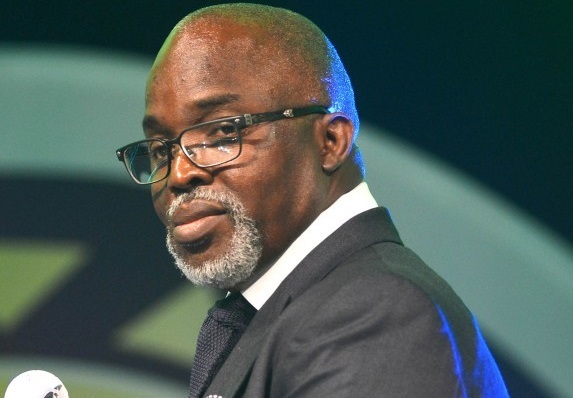 FIFA President, Gianni Infantino says the world football ruling body recognises only Amaju Pinnick as president of Nigeria Football Federation (NFF), and will not accept any outside interference in NFF’s affairs. Infantino, while responding to questions at a press conference in Moscow on Friday, said Pinnick was duly elected and in accordance with FIFA rules. The FIFA president added that Nigeria as a member-association of FIFA, would then be at the risk of facing the world body’s sanctions if the situation continued as it is now. Newsmen report that the NFF has Chris Giwa as its president currently, owing to a compliance with a court order. Giwa had obtained a Jos court order to take over the running of affairs at the NFF in compliance with a Supreme Court order. The apex court had directed all parties involved in the matter to return to the lower courts for another look at the case against NFF’s Sept. 30, 2014 elections in Warri. Giwa had insisted that his earlier election on July 24, 2014 in Abuja should stand, while Pinnick’s election in Warri took place contrary to laid-down regulations.